Manual with training class on how to create podcasts and webcasts. Delivered to entrepreneurs & small business owners at four of the rural North Carolina Business & Technology Development Centers. Funded by the North Carolina Rural Economic Development Center under a grant from the Kellogg Foundation. Opened in 1987, the NC Rural Economic Development Center (NC REDC, aka NC Rural Center) is a private, non-profit organization that develops, promotes, and implements economic strategies to improve the quality of life of rural North Carolinians. The e-NC Authority, authorized by the N.C. General Assembly and strongly associated with NC REDC and MCNC, was formed to expand broadband access throughout North Carolina by working with public-private partnerships on select projects. 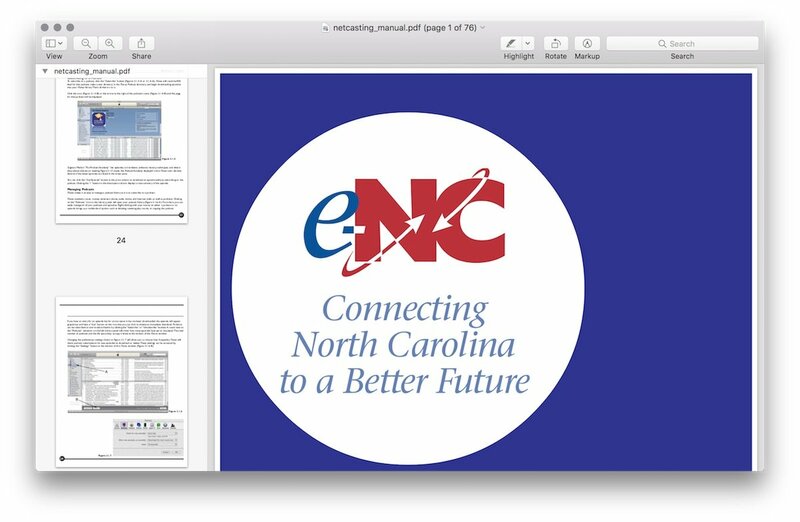 e-NC promoted many Internet based technologies which could benefit rural NC communities. 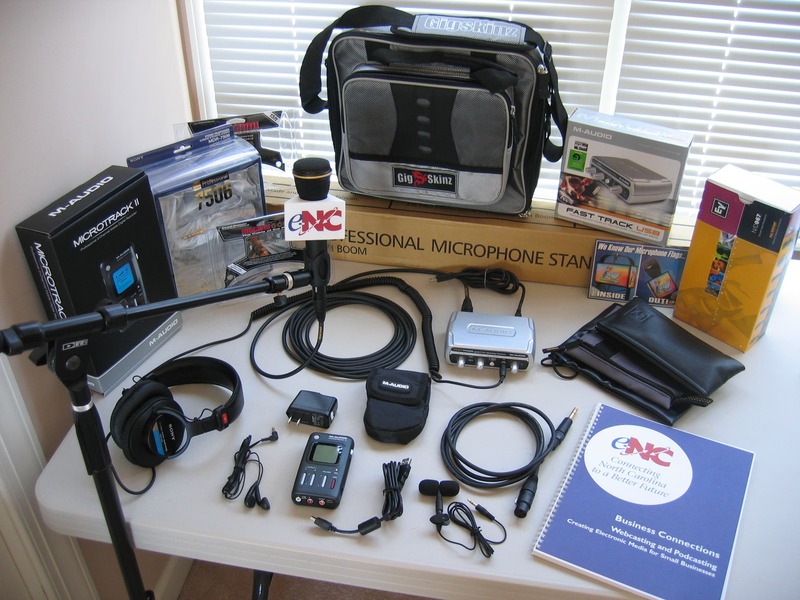 When podcasting and webcasting first became popular, e-NC chose to promote them as well. I was retained to write a manual and develop/deliver training sessions on netcasting (aka podcasting & webcasting) at four of North Carolina's Business & Technology Development Centers. The manual and training classes were all well received. When reviewing the training content, keep in mind that podcasting was fairly new at the time and the wide range of webcasting services now available did not exist. Also, in the decade since then Internet bandwidth & Quality of Service (QOS) has continued to drastically improve.